Home | Blog | Q&A with Wes Addington: What are the new DUI laws and how could they affect me? Pennsylvania passed legislation that went into effect Dec. 23, 2018, just before the holiday season, in an effort to increase penalties on repeat DUI offenders. 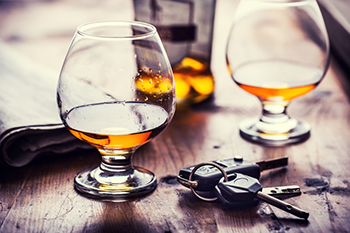 According to Pennsylvania Parents Against Impaired Driving, there are 1 million Pennsylvania drivers with DUI convictions who may now be subject to the higher penalties for future DUIs. Personal injury and wrongful death attorney Wes Addington responds to questions below about the new laws and how it might affect someone injured in a collision with a driver DUI. What are the new DUI laws? What does this mean if I’m in a car accident with someone DUI? First, it’s important to understand Pennsylvania’s laws if you’re in any accident. Pennsylvania is considered a “no-fault” state, which means no matter who caused your accident, compensation such as lost wages and medical bills will generally come from your own auto insurance first. Once the medical benefits are exhausted under your auto policy, the next payor is your health insurance. Pennsylvania law requires that all drivers carry a minimum of $15,000 for bodily injury liability per injured person, $30,000 for total bodily injury liability per accident. This means that if someone injures you in a crash, assuming he/she follows the law, he/she will have a minimum of $15,000 to compensate you for your injuries. When you purchase auto insurance you make many decisions, one of which is whether you will keep all of your rights or whether you will give up some of your rights in exchange for a slightly lower auto insurance premium. To keep all of your rights, you need to elect full tort insurance (think full rights). If you choose to give up some of your rights, you can purchase limited tort insurance (think limited rights). Limited tort insurance limits your recovery to just economic damages, i.e. lost wages, out of pocket costs, etc. However, if you are injured by a driver who is found guilty of DUI or pleads guilty to DUI, the limited tort vs. full tort distinction goes away and you are considered full tort even if you previously chose limited tort. This means that under PA law, you as an injured person have no limits on your recovery from the drunk driver’s insurance policy and can be compensated for things like pain and suffering. Earlier I mentioned that if we “assume” someone follows the law, they will have at least $15,000 in coverage to compensate you for the injuries that they cause you. In my experience if someone chooses to break the law and drive drunk, there’s a chance that they may also choose to break the law and drive without insurance. On the other hand, if they do only carry the minimum, how far would that get you and your family if you were injured by a drunk driver and couldn’t work for a week? How about a month? A year? Another set of choices you get to make when purchasing your auto insurance is whether to purchase uninsured or underinsured insurance. Uninsured insurance provides a pool of resources under your own policy for the situation when a driver is also driving without insurance and causes you injuries. Underinsured insurance provides a pool of resources under your own policy for the situation when a driver who hits you only has that $15,000 state minimum. The final decision is whether or not you wish to “stack” your uninsured and underinsured coverage. Let’s say you choose $25,000 of uninsured/underinsured insurance. If you have two vehicles and you choose stacking, you’ve now created a pool of $50,000 of potential resources for you and your family should you be injured. You can’t control whether a drunk driver will injure you and turn your life upside-down, but you can control whether you are prepared for it. Below are some tips to make sure your insurance is ready to work for you, should you need it. Because sober drivers can cause the same injuries as drunk drivers, make sure you have elected full tort insurance (full rights) so the law doesn’t limit you. Because you cannot control whether the person who injures you will have insurance, or if he/she will have enough, purchase uninsured and underinsured insurance so his/her insurance policy doesn’t limit you. Finally, if you have multiple vehicles on your insurance policy, choose to “stack” your uninsured and underinsured insurance so you are in control of your insurance limits. January is a great time to review your auto insurance policy and make the above adjustments to ensure your family is prepared. While we applaud the changes in the DUI laws and hope that these will keep dangerous and irresponsible repeat DUI drivers off the road, it only takes one driver to drive drunk, one accident to change a family forever. Please remember that if you are injured by a driver — DUI or sober — you and your family have rights. Feel free to contact our office today for a free consultation and an explanation of those rights. At KBG, we are determined to get you the Results You Deserve®.